It is said that a great comedian doesn’t say lines that are funny, but turns lines into funny. At times it’s blatantly obvious that the jokes, innuendos, or one-liners aren’t that laughable or you have heard of them before, and yet the audience is roaring with laughter. It’s all about delivery! How the comedian spits out his material is what introduces the element of comedy – his body language, expressions, hand gestures, style of delivery, etc. is what really counts. Lewis Niles Black, famously known as Lewis Black, is a legend among comedians. In addition to that, he is an author, playwright, social critic and actor, and extremely popular due to his signature angry face and aggressive style of delivering comedy to the audience, which often manifests in the form of a fake mental breakdown. It is just like watching someone rant in an exceedingly hilarious manner, about topics like history, politics, religion, or other cultural trends. His “Back in Black” commentary segment on The Daily Show with Jon Stewart and TV show on Comedy Central, Lewis Black’s Root of All Evil, which he hosted, garnered fantastic TRP ratings. Catch Lewis Black live in action at his Rant, White and Blue Tour and experience his natural twisted wit at a theater near you. 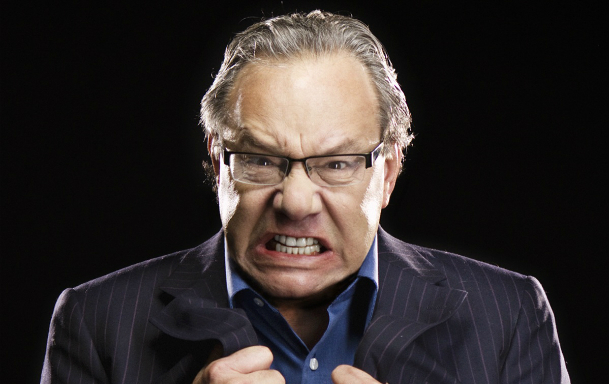 Book tickets in advance – Lewis Black Rant, White and Blue Tickets! Connect with Lewis Black on Facebook, Twitter, and More. Previous PostPrevious A Day Out With Thomas Is coming to your Town!